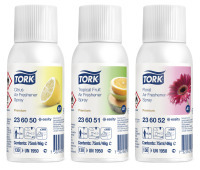 Control odors effectively and efficiently in your washroom with the Tork Floral Air Freshener Spray. The sprays contain concentrated fragrance oils and proprietary odor neutralizing agents to eliminate unpleasant smells while providing long-lasting air freshness. 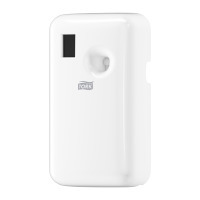 The sprays are suitable for the Tork Air Freshener Spray Dispenser.